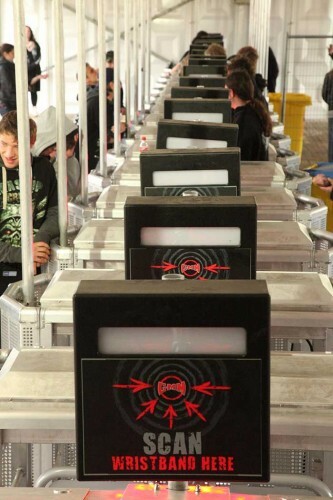 Mojo Barriers unveiled its new access control system ‘the Gatekeeper 2.0’ at Belgium’s Graspop Festival, combining a secure turnstile entrance with integrated scanning capabilities. The crowd control specialist launched the new product at Belgium’s ‘hardest rock festival’, which used 18 Gatekeepers to control the ingress and egress of the 45,000 capacity crowd who enjoyed performances from headliners Twisted Sister, Iron Maiden and Slipknot. 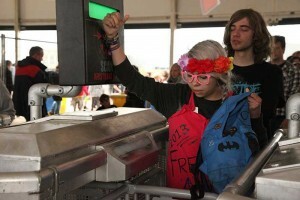 Graspop was the first music event to benefit from the Gatekeeper, which manages all aspects of entry and exit into events, festivals, venues and designated areas (such as VIP, staff only and camping). An intelligent portable turnstile, it links directly to an easy to use central computer system which gives accurate capacity data and real time counting. It incorporates full scanning capabilities and is compatible with any scanning methods. Cees Muurling, Mojo Barriers managing director, comments: "With the rise of RFID, QR codes, barcodes and mobile phone ticketing, and the vast amount of data these can garner for event organisers and sponsors, there was a requirement from clients for a hardware solution which hosted these technologies. We work in partnership with event organisers, ticketing and scanning companies to reduce ticket fraud by combining a solid physical barrier – the Gatekeeper – with the latest ticket scanning methods." For Graspop, Mojo Barriers worked with Belgium-based Playpass which provided RFID wristbands to festival-goers, staff, press and artists. The company’s scanners were fitted to the Gatekeeper system offering a complete entrance control system, and instant access to data on the crowd’s movement and interests across the three day event. Gert Ruts from Playpass comments: "For me it’s not ‘if’ this is going to become more popular, it’s ‘when’. The Gatekeeper offers the best of both worlds for event organisers; access to the data offered by RFID wristbands, but also hardware – the turnstile – to make their festival more secure and efficient, cutting down on security personnel and staff required to check and scan tickets. This is our first time supplying wristbands and scanning with Graspop and we have also worked with Rock Werchter for four years. Gatekeeper has proven a great addition to our offering." Gatekeeper is ideally suited for standalone greenfield events but also for venues looking to supplement their existing entrance systems. It can be combined with Mojo Barriers’ standard temporary barrier system to create a robust segregation line with entrance points and emergency exits.